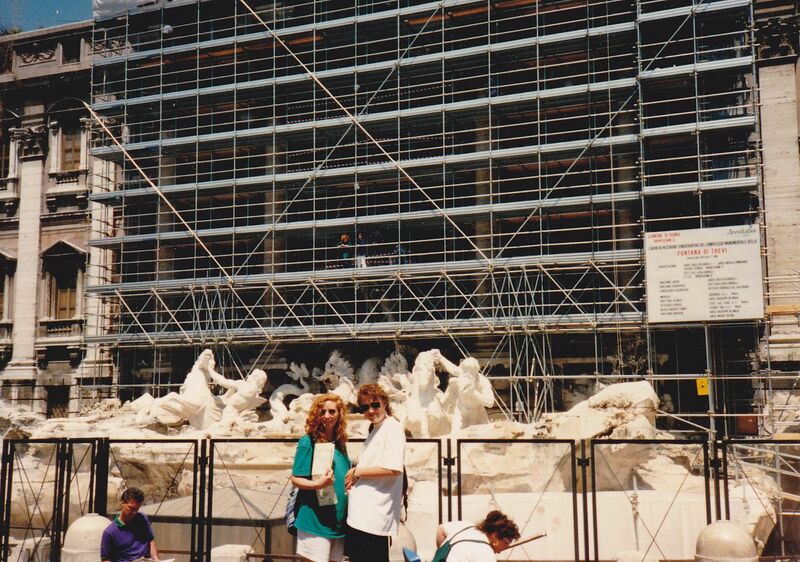 This entry was posted in Humor, Italy, Travel, Travel Humor, Travel Oops, Uncategorized, Unfortunate Photos and tagged European monuments under construction, Rome, scaffolding, Trevi Fountain by stephglaser. Bookmark the permalink. That fountain is so beautiful. I think they are doing it again now. 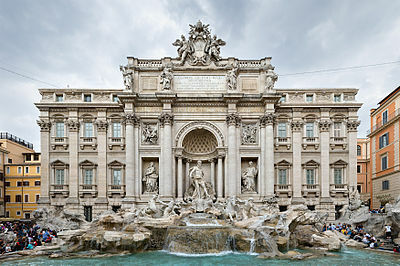 Last time I was in Rome there was some scaffolding, just over half of the fountain, but I think there is more to come. I know these treasures need preservation, but of course, it is a disappointment not to actually see them. However, it’s good to know they are getting some TLC. Thanks for the comment, Debra! It’s very disappointing when you visit a place and the beautiful monuments are in the process of being restored. When I visited Barcelona the Sagrada Familia was almost totally hidden behind cranes, scaffolding and covering. It’s the main landmark of Barcelona and I didn’t bother to photograph it. It’s a shame when that happens. Back in May, I had traipsed to the end of the Gallipoli Peninsula in Turkey to find half of the big Helles Memorial inaccessible. And I had to try and find a name – luckily it was just in view. That’s an amazing fountain, I’ve not been to Rome yet. I hope you get to see it in all its glory one day. Happened to us when we were in Cambodia… oh wells! Nice to know some things are universal — even construction, which I guess is a good thing.